Great Hill Dental Peabody is once again making smiles brighter for Smiles For Life 2019! Dr. Hantson comes to us from Nova Southeastern University, where she received her Doctorate of Dental Medicine and completed her pediatric dentistry residency. Prior to that, she received her Bachelor’s of Science degree from McGill University. Dr. Hantson will be taking over the care of Dr. Van’s patients. We know she will continue to offer the highest level of care our patients deserve and expect. We wish Dr. Van success in his new opportunities and thank him for his time with us! A child’s experience at the dental office influences their dental health for a lifetime. I strive to create a fun, comfortable environment where the children enjoy coming to see us. Positive experiences helps families feel comfortable in a dental office and understand the importance dental health has on their overall quality of life. I am passionate about treating and educating families to positively impact their children’s health. Proper growth and development of the jaws and teeth greatly affects dental hygiene, self-esteem, breathing and speech. Many adults with recurrent dental problems are a result of not having interceptive treatment as a child. Summer is right around the corner and we are looking forward to the sunshine, beach days, cookouts, vacations, and summer outings! We hope everyone had a fun and safe Memorial Day weekend while honoring our veterans. We sure did! This summer will bring about new office hours. Our office hours will remain the same Monday through Thursday, however moving forward we will no longer be open on Fridays. Our office will be closed on Saturdays starting June 17th and will reopen on Saturday, September 9th. We understand how the warm weather and last minute family trips can sometimes cause one to forget about their dental appointment. We would like to kindly remind our patients about our cancellation policy. We ask that if you must cancel your visit that you give us at least 24 hours notice so that we can offer your appointment time to another patient who could be in pain or who has been waiting for an opening our schedule. We are human too and understand that emergencies do happen, so please keep your provider informed if something unfortunate does come up! Continuous violation of this policy could result in a $50. Our Smiles for Life promotion is almost over, so get your custom whitening trays while they still last! Until the end of June, our practice will continue to whiten smiles for a charitable donation of $100 ($220 value). Half of the proceeds will be donated to Boston Children’s Hospital in Peabody while the other half will be donated to seriously ill, disabled, and underprivileged children in their local communities all around the world. Whiten your smile to save a child TODAY! Now through June, you get a professional teeth whitening kit for only $100, this is a huge saving on whitening services! Every penny benefits the Smiles For Life charity organization, as well as our local charity, Children’s Hospital. Opalescence donates the whitening kits, and we donate our time and resources to ensure children in Peabody, MA and around the globe keep on smiling. Stop by our office or give us a call for additional details. We can’t wait to see you smile! HEY Y’ALL!!! While the Pats were making NFL history with their Super Bowl win, our team was winning at the Crown Council 22nd Annual Event in Nashville, TN!!! As members of the Crown Council, we feel so fortunate to be a part of a prestigious alliance of influential dentists who are committed to spreading health and smiles around the world. Great Hill Dental is proud to have been awarded “First Year Top Performer” for 2016, raising a total of $29,322.00 for children in need with our Smiles for Life promotion! Happy New Year from Great Hill Dental! We hope that 2017 brings only good things your way. With New Year’s resolutions likely dissolving or in full swing at this time, we were wondering about yours! Most of the time, we find that our patients strive to better their health whether it be to lose weight, cut our certain foods, or hit the gym more often. We are proud of the few so far who have decided to take charge of their oral health! There are many ways to go about this and it usually starts with taking the steps recommended by your dental hygienist, keeping in mind that there is nothing wrong with baby steps! A good place to start is investing in a quality electric toothbrush. We also encourage you to be a part of your appointment! Kala, Greta, Lisa and Peg are happy to take all the necessary time to make sure that you understand how to properly care for your mouth. Not sure if you are brushing and flossing properly? They can give you some one-on-one training! Maybe they can suggest products out there that could make your homecare routine much easier. We all know how overwhelming the dental care isle at the store can be. When in doubt, ask! Kala, Greta, Lisa and Peg are happy to take all the necessary time to make sure that you understand how to properly care for your mouth. Not sure if you are brushing and flossing properly? They can give you some one-on-one training! Maybe they can suggest products out there that could make your homecare routine much easier. We all know how overwhelming the dental care isle at the store can be. When in doubt, ask! We know that unhealthy gums are highly associated with diabetes, heart disease and arthritis. It’s time to spread the word that good oral health translates to good systemic health and the littlest changes do make a big difference! Whether it’s you resolution or not, let’s make 2017 about YOU! Whether it’s you resolution or not, let’s make 2017 about YOU! We are giving away a FREE SONICARE TOOTHBRUSH to the first caller who mentions this blog! Call us now at 978-717-5819!!! It’s that time of the year again that we would like to wish everyone a HAPPY HOLIDAY SEASON from Great Hill Dental Partners!!! With the end of the year in sight it also means you’re your dental benefits are about to come to a close and it’s time for any last minute appointments to be made! Most people don’t know that you can save hundreds of dollars by coordinating your treatment with dental insurance savings. Most dental insurance policies renew at the beginning of the year and the old saying that goes, “if you don’t use it, you lose it” definitely applies to your yearly benefits. If you are interested in tackling your treatment plan, we will happily assist you to best maximize your insurance savings. On a separate note, much congratulations to our October Employees of the Month, Peg and Lisa! Our part-time hygienists Peg and Lisa went above and beyond to rearrange their schedules to accommodate our patients scheduled hygiene appointments during the leaves of Greta and Kala. Both Peg and Lisa had family obligations which they set aside to help us in this time of need. This was especially helpful in keeping our schedules on track without the difficult task of rescheduling patients who chose times that best fit their schedules. Thank you Peg and Lisa, we greatly appreciate your willingness to step up to the plate to provide excellent customer service to both our patients and practice! Let’s not forget that December 1st marks Great Hill Dental Partner’s 5th Anniversary!!! We cannot believe how time as flown and we look forward to the exciting times ahead! October has come and gone. Recognized in the dental world as “Dental Hygiene Month”, October celebrates the amazing individuals whose sole mission is to help you KEEP YOUR TEETH. How ironic that we applaud these dental cheerleaders during a month which traditionally represents costumes, pumpkin carving, haunted hay rides, spooky decorations and most importantly, CANDY. While people assume that candy to a dental professional is like garlic to a vampire, we feel the need to explain ourselves. The truth is that we love candy just as much as the non-dental professional. In fact, nothing makes us happier than finding a box of chocolates in the break room! We simply love and hate candy for being so good, but so bad. We find that our patients typically know of the correlation between sweets and tooth decay. It is the HOW that is often a mystery to them. This above is the recipe for a cavity. It begins with specific cavity causing bacteria found in dental plaque on and in between our teeth. This kind of bacteria likes sugar even more that we do! It converts the sugar that sticks around in our mouths after we eat to acid. The acid then destroys and softens the outermost layer of our teeth, called the enamel. Once a cavity has worked its way through to the second layer, called the dentin, it is time to visit your dentist for a filling. A larger and deeper cavity may require more invasive treatment such as root canal or crown. An unsalvageable tooth may need to be removed. How to prevent tooth decay? Regular brushing, flossing, and the use of other cleansing aids will reduce dental plaque. Fluoride applied by your dental hygienist and smaller amounts of fluoride found in your toothpaste and mouth rinse can strengthen this softened tooth structure, potentially stopping decay in its tracks. Your saliva is your mouth’s initial line of defense when it comes to cavities. It helps to wash away plaque and food, neutralizing the acidic environment. Just remember, snacking on sugary foods and sipping on sugary drinks over long periods of time will prolong an acidic environment and thus, put your teeth at a greater risk for decay! NO DENTAL INSURANCE??? Great Hill Dental Has You Covered! At Great Hill Dental we believe everyone deserves quality oral health care and a beautiful, healthy smile. For those without dental insurance, we understand that cost can be a concern when it comes to visiting your dentist. We are EXCITED to launch our Affordable Smiles Plan, making the choice to improve and maintain your healthy smile an easier one. Our low cost, in-office plan offers uninsured individuals and family members within the same household significant savings on the dental services they deserve. We practice whole health, modern dentistry, with highly trained doctors and staff. In our relaxed, comfortable office environment you’ll receive the highest quality preventative dental care, designed to prevent unnecessary, and potentially costly dental treatment in the future. Sign up is easy, and you can save at any of our five locations, Peabody, Boston, Somerville, Braintree, and Chelmsford! Call us at 978-717-5819 to find out which plan works best for you, and start saving today! Summer is coming to an end and the back-to-school vibes are setting in! We understand how life gets busy, but before you get wrapped up in work, academics, sports, and after-school activities, make sure to get yourself and the family in for their dental cleanings and checkups! Did you enjoy any vacations this summer? Probably not as much as our patient representative, Emma and our billing representative, Rachel! Emma and her family had a blast on their cruise vacation to Bermuda! She brought back lots of pictures and memories and made sure to make her team jealous… Check out our Facebook page for a glimpse! Rachel visited her favorite place on the planet, Disney World! If you visit our office before mid-November, you will miss our hygienist, Greta! She will be at home taking care of baby Caroline!!! Caroline was born earlier this month and we are so excited for Greta and Mike as they step into the next chapter of their lives as a family! In the meantime, our hygienists, Peg and Lisa will be caring for her patients. You may remember both of them from our Harvard Vanguard days! This summer we said farewell to two of our amazing team members, Mandie and Dr.Van. You might remember Mandie working at the front desk at Harvard Vanguard. Regardless of when you met her, you would not forget her! Mandie is loved by all of our team members and patients. She will never forget your face or the last conversation you shared. Mandie, it has been a long run and we are sad to see you go. We wish you the very best of luck in your new career! Although Dr.Van is no longer practicing at our Peabody location, he will always be a part of our team. On a more positive note, Dr.Van will not be too far! He continues to practice pediatric dentistry at our Chelmsford location. We will miss his contagious smile and up-beat attitude! Dr.Van, we will miss having you here and we KNOW you will be missed by all the little smiles you cared for! Do I REALLY Need X-rays Today? ​It wouldn’t be the first time we’ve heard that question before at Great Hill Dental! Recent articles have dental professionals on the defense when it comes to x-rays. Please trust us when we say, it is not in our interest to over-radiate you, make you gag, or make an extra dollar. At Great Hill Dental, we hold each of our patients the utmost standard of comprehensive care, always keeping in mind that every mouth is unique and requires different attention. So, our answer to this popular question is: let’s let your mouth help us determine what is needed. We require a full set of x-rays called an FMX with each new patient we treat. An FMX consists of 18-20 individual x-rays of the front and back teeth. Within reason, we require 4 bitewing x-rays of the back teeth once a year at your recare visit. Without x-ray vision, dentists and dental hygienists cannot confidently diagnose your oral health or lack thereof. A similar situation would be a doctor failing to diagnose chronically high blood pressure could lead to more serious heart problems. The same concept applies to the oral cavity because often dental infection does not present itself until it hurts or is too late. A dental professional would be negligent to dismiss your initial or routine x-rays without taking into consideration your medical history, what they see clinically, symptoms you may be experiencing, and your past dental history. Such may even warrant more frequent x-rays. After weighing these factors, our dentists may agree to postpone routine x-rays. ​Often times, patients request to pass on x-rays because they are concerned about being exposed to too much radiation. We understand this concern and make it a point to always educate our patients about what we know. After all, each of our clinicians has been certified in dental radiology. We also take every precaution possible to ensure that you are receiving the lowest possible dose of radiation. Our use of digital technology and the NOMAD Portable X-Ray System minimizes patient exposure significantly compared to outdated conventional film. Such ensures the safety for our clinicians as well. Studies reveal that this new technology poses no more risk to them while they remain in the treatment room, unprotected. Plus, it makes the process much more comfortable for both parties! Please refer to the following report for more information regarding the Nomad Portable X-Ray System: http://www.aribex.com/pdfs/nomad_radiation_report.pdf. ​At Great Hill Dental, we genuinely care for our patients. As medical professionals, we vow to do no harm. If you feel uncomfortable about taking x-rays, we encourage you to speak up so that we can discuss with you the risks versus benefits when it comes to your oral and overall health. We wish all of our patients, friends, and family a safe and exciting summer filled with lots of fun and smiles! Don’t forget, time off from school and work means more time for you and your family to visit us for your dental needs. Yes, a dental cleaning is a necessity even on a beach day. On a more exciting note, we did have some things to celebrate this month. Yesenia was awarded Employee of the Month of May! This title was well deserved. Yesenia has been with us for a couple of years now. She has been a great addition to our team. Yesenia is the backbone of the front office with her excellent knowledge of dental care and dental insurance. She has built a trusting relationship with our patients. Yesenia will go above and beyond to provide the best she has for our patients and our practice. Her fluency in Spanish has helped deliver information to our Spanish speaking patients, which has been very much appreciated by all. We also celebrated a birthday! Happy birthday to our office manager, Jill! We hope your day was a fabulous as you are. We would like to congratulate our newly Board Certified Periodontist, Dr. Matthew Hickin! Dr.Hickin worked hard to further his competency as a gum specialist and is now an honored diplomate of the American Academy of Periodontology. The American Board of Periodontology was established in 1939 and is one of nine specialty boards recognized by the American Dental Association. The American Board of Periodontology strives to advance the art and science of periodontics and elevate the quality of periodontal care through the examination, certification, and recertification of periodontists and by encouraging the achievement and maintenance of diplomate status. We are proud to have Dr.Hickin on our team! Dr.Hickin is not the only dentist on top of his game this month. Both Dr.Khan and Dr. Hickin attended the 12th International Symposium for Periodontics and Restorative Dentistry in Boston this past weekend! They joined dentists from all over the world at this four day educational conference to get the latest scoop on cutting edge procedures and techniques. Congratulations to our team for making Smiles for Life a HUGE success!!! Special thanks to the special patients who donated to a wonderful cause. Together, we raised $6,300 and surpassed our goal of $5,000! As you may know, half of that amount will be donated to the Smiles for Life Foundation while the other half will be donated to Haven from Hunger in Peabody! Have you checked out our facebook page lately? If so, you know that out docs held up their end of the bargain. Reaching our goal meant that Dr.Scialabba would willingly get pied in the face by Dr. “The Tooth Fairy” Dr. Khan. We were also featured on WCVB Channel 5 “Wake up Call” promoting our Smiles for Life Campaign. Did anyone see us live on television? Check out our page NOW to see just what has been going on around here! Does the thought of dental insurance make your head spin? If so, you are not alone. We find that the average dental consumer knows only the basic information about their dental insurance plan. Fortunately, we are here to help the best we can! Yesenia and Emmaour administrative staff have extensive knowledge of most dental insurance plans. They work diligently to help ensure that our patients understand, utilize and maximize their dental benefits. Don’t worry, they’ve got you covered! In the meantime, you might find the following dental insurance terminology to be helpful. If you have any further questions, please do not hesitate to call us at 978-717-5819! A dentist who has contracted with your insurance company. The dentist agrees to accept the insurance’s allowable contractedrates. When the insurance company will not provide any benefit coverage for that missing tooth. Generally, when themissing tooth occurred prior to having coverage with the dental insurance plan. A list of procedurecodes where your insurance company and your employer group determine a dollar amount attached to a specific procedure code. That dollar amount is what they are going to pay towards the treatment making the patient responsible for the difference of that dollar amount and the dental office fee for that specific procedure code. When we say insurance breakdown we are talking about what your insurance company has provided us regarding your coverage, via website, phone or fax. This breakdown provides us with the percentages of benefit coverage.We do not always see restrictions or non-covered services. We will only provide you with estimates. Summer is right around the corner! If a vibrant smile on a sun-kissed tan is the look you are going for, take advantage of our whitening promotion before it ends on June 30! If this isn’t incentive enough, whitening your smile will put a smile on the face of a child in need. All proceeds will be donated to Smiles for Life and Haven from Hunger. So far our practice has raised $4,700! Don’t forget, if we meet our goal of $5,000, Dr.Scialabba gets a pie in the face and Dr.Khan will be subjected to wearing a tutu! Help us meet our goal and WHITEN YOUR SMILE TO HELP A CHILD! This month we said farewell to or orthodontist, Dr.Casey. We are saddened to inform our patients that Dr.Casey will no longer be practicing at Great Hill Dental. It was a real pleasure having Dr.Casey on our team. We wish her the best of luck on her future endeavors! On a happier note, we are excited to welcome Dr.Chao, our new orthodontist! Dr.Chou comes to us from Harvard Dental School and has been working closely with Dr.Casey to facilitate a seamless transition of care for Dr.Casey’s former patients. We are privileged to have her on our team of excellent providers. She looks forward to helping her patients achieve the smile they’ve always wanted, here at Great Hill Dental! We understand that the school year can be busy, making it easy to fall off track with your dental health. Summer months are the perfect time to tackle your treatment plan or schedule a cleaning. Call Great Hill Dental at 978-717-5819 to schedule an appointment NOW! Great Hill Dental in Peabody partnered with the Smiles for Life Campaign! Until the end of June we are offering discounted whitening services and 100% of our proceeds will be donated to charities for children. We have partnered locally with Haven From Hunger in Peabody. Whiten your smile for charity! This is a link to a short clip we recorded for WCVB about Smiles for Life. We posted it on their website and are hoping it will be selected to go on TV! April flew by in the blink of an eye! This must be because our team is whitening smiles around the clock to promote the Smiles for Life Campaign. So far our team has raised $2,800! This promotion will be active until June 30thand proceeds will be donated to both Smiles for Life and Haven from Hunger. Don’t miss out on your chance to whiten for charity! One hundred white smiles will get Dr.Scialabba a pie in the face and Dr.Khan into a tutu, but let’s not make such our only incentives! Congratulations to our assistant, Caryn for being awarded Employee of the Month for March! Caryn has been with Great Hill Dental for over a year now, and we are thrilled to have her join our team! A special thanks to Caryn for her undivided attention in preparing our office to meet the New 2016 OSHA/GHS compliance and HIPAA requirements. There were many changes this year, which Caryn has implemented in our office. All of our staff participated in this extensive training program. It was only a matter of days before we learned that Caryn likes to sing and knows the words to EVERY song known to man. She is also a decorated and hard- working Navy veteran who always adds a bit of spice to the day …along with a few dance moves! Thank you so much Caryn for all that you do! In April we celebrated Rachel’s birthday! Rachel is part of our billing team and has been with Great Hill Dental since the very beginning. Rachel is the dental insurance Guru! She is a major asset to our dental practice and can tell you anything and everything you need to know about dental insurance. If you can’t already tell, we love to celebrate our team members in every way possible. This past month we celebrated Administrative Professionals’ Day! Stay tuned for pictures from their upcoming luncheon in honor of their awesomeness! We are so lucky to have our administrative team, Yesenia and Emma and our office manager, Jill. Yesenia and Emma go above and beyond every day to ensure that our patients are properly utilizing their dental benefits. They manage our hectic schedules and keep our providers on their toes! Jill is our team leader and the glue that holds our team together. You may remember Jill as the Office Manager at Harvard Vanguard Dental. She oversees our clinical and administrative staff and has the pleasure of solving every issue that comes her way! Thank you very much, Jill for leading our team in the right direction. We appreciate all of your support and positive energy. APRIL IS NATIONAL FACIAL PROTECTION MONTH!!! Every April, National Facial Protection Month strives to raise public awareness and remind parents or caregivers, coaches and athletes to play it safe while playing sports. Protective equipment such as a helmet and eyewear are essential for protecting the head and face against injury. When it comes to protecting your smile, a mouth guard stands as the first line of defense. A mouth guard or sports guard is an oral appliance that cushions and shields the teeth from trauma. It helps to prevent broken teeth and minimizes injury to the lips and tongue. A custom fit sports guard is made by your dentist. It provides optimal protection as well as the most comfortable and precise fit. The fabrication of a custom sports guard usually takes two dental visits. Your dentist will first take impressions of your teeth in order to make exact models of them. The appliance will be fabricated with those models and will be delivered to you at the second visit. Call Great Hill Dental/Peabody location at 978-717-5819 for a custom sports guard today! If a custom fit sports guard is not for you, your local sporting goods or drug store will likely carry a sports guard that may fit your needs. Most often these require boiling in water, which softens the plastic before the athlete is required to bite into it, creating a custom-like mold. Stock mouth guards do not require boiling; however they tend to be the most bulky. Facial injuries are no joke! Play safe and WEAR YOUR SPORTS GUARD! Spring is here and of course it is snowing!!! As we do our spring cleaning there are many fun and exciting things happening here at Great Hill Dental. We are still getting prepared for the new OSHA regulations and a big thanks to one of our assistants, Caryn, for getting everything together so that we are compliant with the state’s new rules. In other news, Dr. Hickin enjoyed a nice vacation in Iceland earlier this month! Dr. Scialabba is expected to be back and ready to save some teeth at the end of the month orin early April. Much thanks to Dr. Lee, who has been caring for Dr.Scialabba’s patients while he recovers. We want to wish a happy birthday to Bertie, one of our most valued assistants! Bertie has been an employee of Great Hill Dental since our opening in 2011 and prior to that, she had been a dedicated employee of Harvard Vanguard Dental (our predecessor company) since 1987!!! We also want to congratulate our hygienist, Greta and her husband, Mike, who announced that they are expecting their first child this August! Greta will be taking a leave of absence in mid- August and will be ready for some teeth cleaning action in early November! Greta will also no longer be working on Fridays, however will be available for re-care appointments Monday through Thursday. A great big congratulation goes out to our hygienist, Kala, who was awarded our February Employee of the Month! Kala is a team player who whole-heartedly loves her patients. Kala is always striving to spread smiles and make each day a positive one! Great Hill Dental is always looking for ways to give back to those in need. In our efforts to give back this year we are participating in a charity called Smiles For Life. 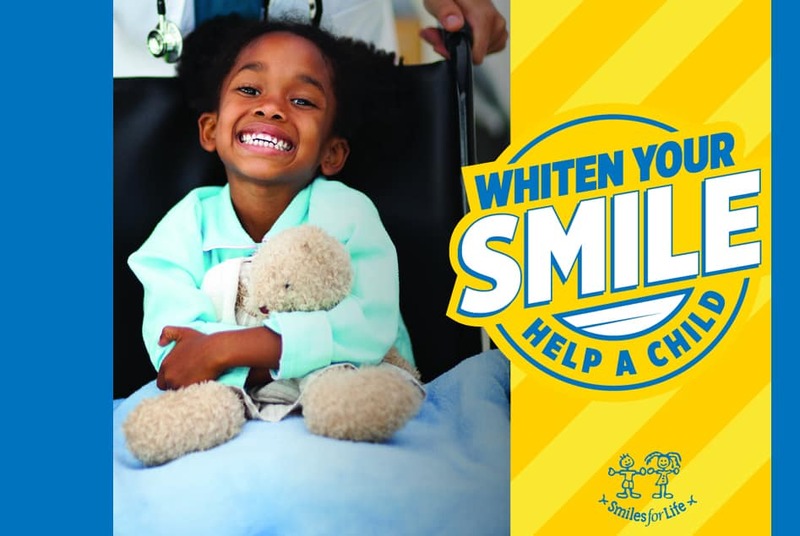 From March through the end of June, Great Hill Dental Peabody, and the Crown Council is partnering up with Smiles for Life to professionally whiten teeth to raise money for seriously ill, disabled, and underprivileged children in their local communities and around the world. We are passionately committed to promoting oral health, fighting oral cancer and serving our communities through charitable work. Great Hill Dental Peabody is offering professional teeth whitening services at substantially reduced (donations) with 100% of the proceeds going to the foundation to help kid’s charities. When you whiten your teeth with Great Hill Dental Peabody, you save money and get a bright, beautiful smile, while giving the opportunity to give a child a bright, beautiful smile as well. The best part is, you, your dentist, and the entire staff here at Great Hill Dental feel satisfaction in knowing that the donations are going to help change a child’s life. Thank you to our wonderful patients for spreading the word about your positive experiences at Great Hill Dental! With your help, we have welcomed fifty-three new patients to our family. We hope they enjoyed their experience here as much as you have. We hope that our patients keep the reviews coming! Great Hill Dental recently started to implement patient satisfaction surveys. Patients will now receive an optional survey in their email after each dental visit. With your feedback, our team can learn what we are doing well and can strive to improve in the areas we are lacking. Staying current with the latest dental research also helps our team to improve their practice. In late January, our hygienists (Kala, Greta, Lisa, and Peg) and one of our assistants (Bertie) spent a whole day at the 2016 Yankee Dental Conference in Boston. Our hygienists took an advanced course that explored ways to more effectively manage inflammation in the mouth, particularly in medically compromised patients who have heart disease, diabetes, and arthritis. Bertie took a hands-on course about new ways to make temporary crowns. They were excited to bring back all that they learned! Earlier this month, each Great Hill Dental employee participated in an educational training on the standards set forth by the Occupational Safety and Health Administration (OSHA). Since then, they have been hard at work, ensuring that our workplace is as safe as can be for both them and our patients. To those who have yet to hear, Dr. Scialabba is on a leave of absence after having surgery on his arm. His surgery was a success and he is healing well. We wish him our best and can’t wait for his return! Happy Birthday to Nicole, our billing manager and Greta, one of our amazing dental hygienists! We hope you each enjoyed your special day!!! Welcome to our Great Hill Dental Peabody Office Blog! Snow , Snow and more Snow! First off I want to thank all of our patients who have bared the cold and snow to keep their appointments and also say sorry to those whose appointments we might have had to cancel. Hopefully the snow is done for the year and we can move onto spring. Despite the challenges of weather 2014 has been a busy year already. We have numerous community outreach projects ongoing , the one we are currently working on is a Health and Wellness expo at the Northshore Mall to take place on March 8th. We also will be having a ribbon cutting ceremony on March 19th at 4:30 pm to celebrate our 1 year Anniversary at our location. Thank you to all who volunteer to make these events happen. In April we will be looking for volunteers to help with the Walk Like MADD. We also want to congratulate Cintia DeOliveira on being the first Employee of the Month! Great job. You have a great calming sense about and patients realize that and helping them be at ease shows with your effort to provide care and comfort. Great Job! Happy Birthday to Peg Strauss, Nicole O’Leary and Cintia DeOliveira who celebrated a birthday in January. Greta Buzzell celebrates in February. Congrats and hope you have a special day.